All applications encouraged! 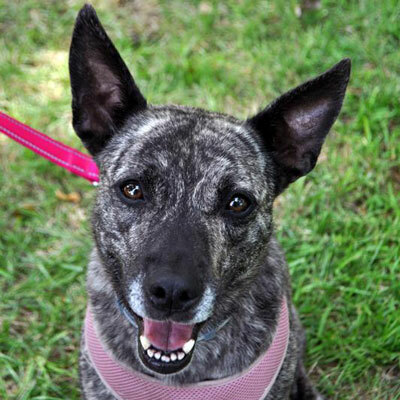 HART promotes adoptions that are in the best interest of both the dog and potential adopter. HART does not adopt dogs on a first come first serve basis. All applications will be screened by HART to determine the most suitable match for both you and the animal. Don't want to submit an application online? Download and complete our Dog Adoption application and bring it to an adoption event! You may submit one application for multiple dogs. Unfortunately our online dog application does not support your version of Microsoft Internet Explorer. HART recommends updating to the latest version of Internet Explorer or the latest version of Mozilla Firefox. If you cannot or do not want to upgrade your internet browser, you can still download a copy of our dog application in PDF format to print out and bring to one of our adoption events. You are about to remove all of the pet history information from this part of the application. Do you really want to remove it? *Roommate, child, husband, mother, etc. Are you willing to fence? Do you plan to have a doggy door? Plans to move or change employment in the near future? Each day, your HART dog would be left alone? When you are not home, your HART dog would be kept? When you are home, your HART dog would be kept? How much time do you realistically have each day to exercise or play with your HART dog? Each year, you are away from home on vacation/travel? While on vacation/travel, who will care for your dog? What do you foresee as normal dog problems? Have you dealt with behavioral issues with other pets*? *Housebreaking, chewing, separation anxiety, etc. How will you encourage/reinforce appropriate behavior? Have you ever taken a formal obedience class? Will you to take your HART dog to obedience training? If you are not home, will your HART dog be outside unattended? If you have to move, what will you do with your HART dog? How long have you looked for a dog? Why did you choose Angel? Are you interested in other HART dogs? Who will be the primary or sole caretaker of the dog? What age most appeals to you? What size dog most appeals to you? Do you or your home have a weight limit? Is your home subject to breed restrictions? What aspects of a dog are most important to you? What activity level most appeals to you? What type of coat most appeals to you? Is someone in your family willing to brush your HART dog often? How much do you think it will cost to have your HART dog groomed? Is anyone in your family allergic to dander or pet hair? Where will your HART dog sleep? How much do you think it costs ANNUALLY to own a dog? Will you give your HART dog Heartworm Preventative every month? What would cause you to consider giving your dog back to HART? Check any that you think may apply. If my work schedule changed such that I no longer have sufficient time for the dog. If I have children in the future and I no longer have sufficient time for the dog. If other changed circumstances prohibit me from having sufficient time for the dog. If someone in the household becomes allergic to the dog. If I become ill and can no longer take care of the dog. If I lose my job and can no longer take care of the dog. If I divorce or separate from my spouse or partner. If my new significant other or spouse does not like the dog. If the dog sheds excessively. If the dog is not housebroken. If the dog becomes aggressive. Have you owned a dog, cat, or other pet? You can list up to six (6) pets. Where did you get the pet? What happened to the pet*? *If given up, please give approximate date. What heartworm medication have you used in the past? Have you incurred extraordinary veterinary expenses? What was the cause of the extraordinary expense? What was the approximate cost of the treatment? Have you ever had to give up a pet for any reason? Will you permit a home visit by a HART Representative? Do you authorize a vet check by a HART Representative? Please understand that HART promotes adoptions that are in the best interest of both the dog and potential adopter. All applications will be screened by HART to determine the most suitable match for both you and the animal. HART does not adopt dogs on a first come first serve basis. After you click "Submit", you will be taken to a confirmation page where you can print a copy of your submitted application. You will also receive an automated email copy of your application. Please print either your submitted application from the confirmation page or the email copy and bring it with you to Adoption Day! In addition, your application will be forwarded to a HART representative who will contact you within three business days.